Where Kittens love to play! I began showing in 2005, my first show was a TICA show in Green Cove Springs, Florida. It only took one show and I was hooked. Over the years I have shown in ACFA and CFA but now I show primarily in TICA. I am proud to be club president of Central Florida Cat Fancier’s, our first show was in September 2013 and it was a big hit! We plan on making this an annual event. For more information, www.centralflcats.com. Showing is hard on a cat whether they like it or not. Their days are very long; beginning with an hour long show bath the day before then off to the show to be handled by all kinds of strangers the whole weekend. 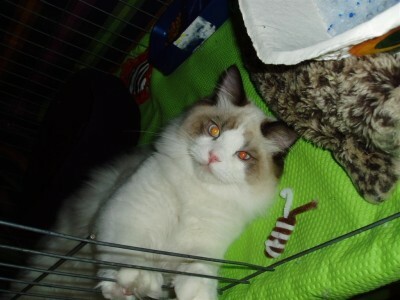 Therefore, I am grateful for each show cat I have that they let me take them to the show hall so I can have fun. This page is for me to brag on all my great cats and whatever wins they may receive. My first show cat was born and raised here at Sunny Shores; SunnyShores Montanna’s Big Son aka Fatty was 6 months old and was at that first TICA show and got 2 final ribbons. Showing was just not for him, he’s a big Momma’s boy and now spends his days relaxing in the sun. 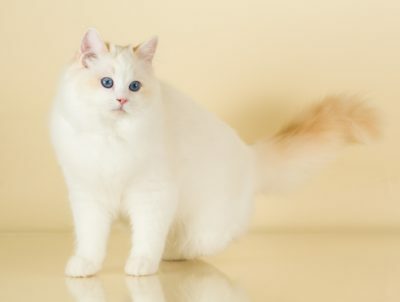 Luke Cage is a cream point bicolor born 9/3/16, if you look closely at the photo you will notice that his left rear leg is not there below the knee. He was tangled in his umbilical cord after birth and the blood supply was cut off, his leg was amputated when he was 5 days old. He has never known a life with 4 legs and that’s ok with him, he loves to run, jump and climb the cat trees! He is currently showing in TICA as a Household Pet. Copyright © 2019 Sunny Shores Cattery. All Rights Reserved.